We’re expecting the Blue Jeans Mile world record of 4:34 to get demolished tonight at the Lost Boys Track Club x Citius Mag Denim Dash at East River in New York City but we’re shocked when a Citwit in Nashville tweeted at us that a 4:19 was run this morning. He was wearing 99% cotton jeans. According to our introductory post to the Blue Jeans Mile, that we encourage the first man to break four minutes or first woman to break 4:36 to be wearing 100% denim blue jeans. The men and women who have run times earlier this year have complied by the 100% rules. Does that extra 1% make a difference? We don’t actually know the science behind it. Remember there’s shoes out there that say they can help up to 4% of one’s marathon time. Jeans are jeans so we will recognize Sean’s time as a world lead but we’re going to put a little asterisk next to it. Hall ran 5:04, which is the sixth fastest time of the year. He said that he will try again soon and we’re excited to see that happen. The record just may be a little tougher after tonight. We’re also totally rattled by the possibility of a sub-four now because we said we’d cough up about $1.200 to the first person to do it. Also shout-out to our friends who decided to put some jeans on at the CNW All Comer’s Meet. Olympic Trials qualifier Drew Polley won the race in 4:48, which resulted in some hilarious reactions from people getting passed by someone in jeans. 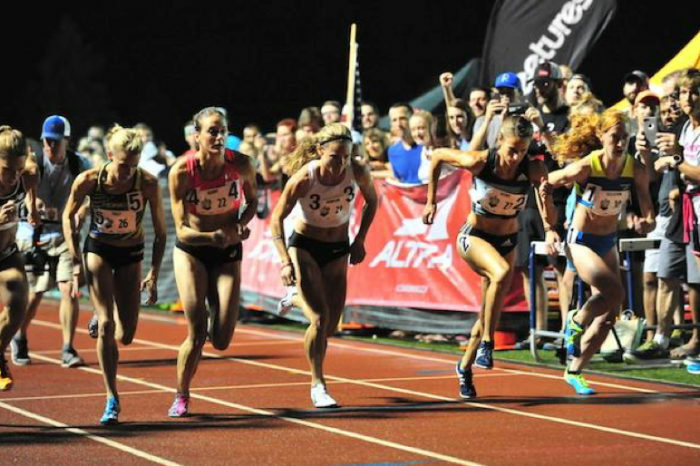 Hillary Shaw ran a 6:03 to become the second-fastest woman of all-time behind Anna Staats’ 5:56.56. 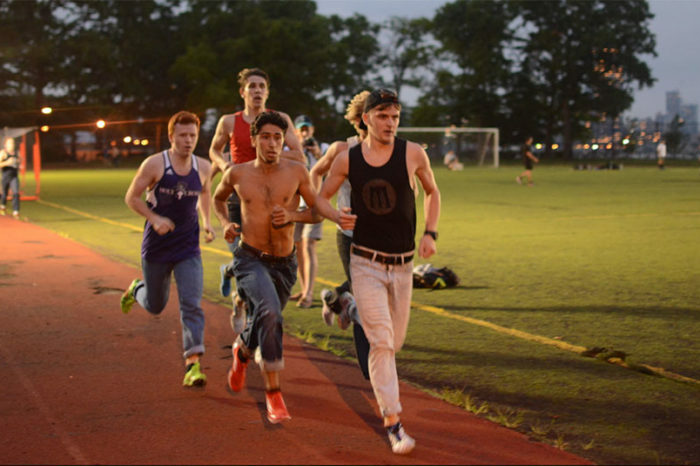 Blue Jeans Mile at the CNW All Comers Meet. Spoiler: Drew wins overall, Hillary Shaw broke what would have been a world record yesterday. Consider this the first controversy regarding the Blue Jeans Mile.